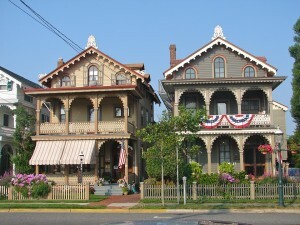 Restoring the historic buildings and residences in Delaware County is paramount to ensuring that the character and ambiance of the area is protected. Our company is dedicated to working with the Delaware County government, as well as residents, to continue this effort and provide quality results in a timely fashion. We offer countless services to ensure the best possible results. During the pre-construction planning phase we will evaluate the condition of the building or home in question and ensure that the scope of the project is within our ability. We will also create a project schedule and estimate a cost for the complete historic renovation. Due to the unique architecture and elements in many of these businesses and homes, it can be difficult for an inexperienced person or builder to take on this job. We can restore historic buildings to their former look, or make updates that complement the other architecture in the area. By offering a detailed list of the materials and processes we use, we ensure that everyone on board with the project understands what is going on and how the job will progress. This minimizes confusion and ensures the goal for the property is achieved. We also help with all the inspection and licensing needs of the project. Our builders are trained and experienced, which means we can easily and quickly handle the job at hand. If necessary, we will also hire subcontractors to ensure quality work is completed and that it does not pose any risk in regard to the building or use when the construction process is complete. The history of Delaware County is rich and we will ensure it is maintained in the renovations and construction services we provide.